We all love a nice golden tan but there is nothing worse than patchy fade marks or the dreaded dark marks that cling to the back of your ankles for dear life.! 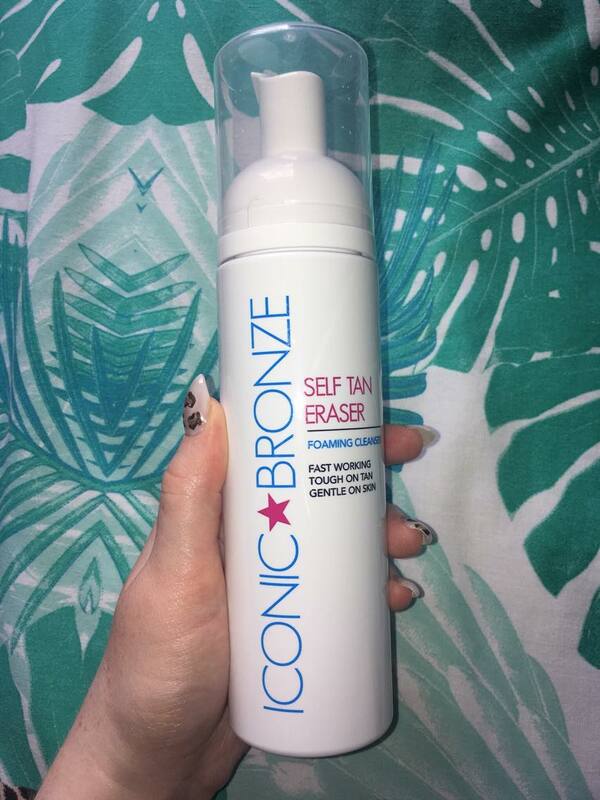 So when I seen some of my fave bloggers (Aoibhe from The Secret Obsessions Blog & Arlene from GirlyInspoCorner) were loving the Iconic Bronze Tan Eraser I had to give it a go for myself. Apply generously to dry skin and work up a lather. Leave it for 5-10 mins and gently exfoliate using an exfoliating glove before washing away tan residue. Simple & Effective.! 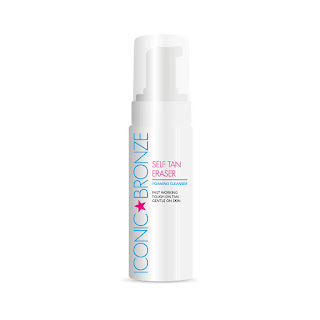 I first used it during the week to get rid of the last of my faded BPerfect tan. I really wasn't expecting much as I've tried other tan erasers in the past and the results were less than impressive but I was happily surprised with Iconic Bronze. I applied this for a few minutes - no longer than 5 as my tan was quite faded - before my shower and worked a treat.! Now I know what your thinking using it on one week faded tan does not qualify me to write BEST in caps but after I tell you about today's tanning disaster you'll see where I'm coming from. I'm back to my Snow White complection again.! This #TanThursday make sure you grab yourself a bottle of the Iconic Bronze Self Tan Eraser just in case you end up in a dalmation disaster like me. !